I was hesitant to write before the Purina Pro Plan Incredible Dog Challenge heretoforth known as the PPPIDC, that is a seriously long name. 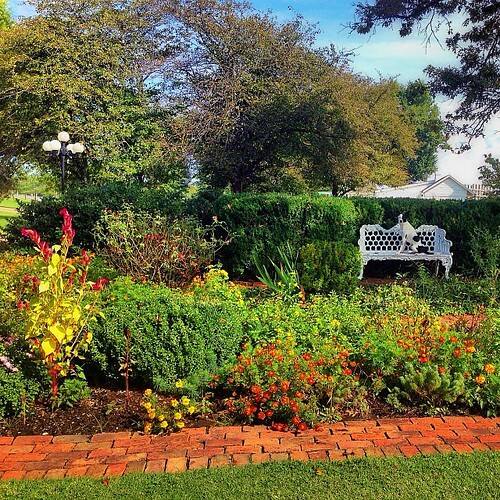 I am in a new place mentally, about Kate, a confident place, and I’m not sure I’m comfortable writing about it. It’s almost as if, upon spaying Kate, she became something different. And I suppose she did. But oh, I still ache for those puppies. We trialled the weekend prior. I have a routine of doing that, showing before big events. It was, sadly, probably one of my last AKC shows. Saturday went well, we won JWW first thing, then we laid down a smoking STD run. Only to discover that I didn’t see her exit the poles at #11. The judge however, saw it very clearly. A welcome reminder to me. 🙂 Sunday did not go well. Kate and I took the line in JWW, as they began to rake the divots in the dirt around the poles. No worries. I either missed the go, or perhaps it never happened, but once I noticed the timer and scribe looking at me expectantly, I led out. I apologized to them for my lack of attention, and they responded “it’s ok.” To which Kate took off like rocket as that is her release word. I found it humorous. Reset her, reset myself for the very straight line ahead and we began. Then we were whistled for training in the ring. Or re-leading out. I’m not clear. But I am still frustrated. Oh yeah, that’s why I sometimes don’t have fun at AKC shows. How could I forget? So we left the show with only one clean run and I wasn’t feeling very “prepared” with Kate. As such, I wasn’t sure what to write blog-wise. Er. “We will do our best” “I love my dog no matter what” Duh. Of course. I read an article about deliberate practice and it made me smile. Every so often I go through an entirely too agonized phase about how I don’t as of yet have my dream farm, or even a real agility field, much less a place to freely run my dogs. 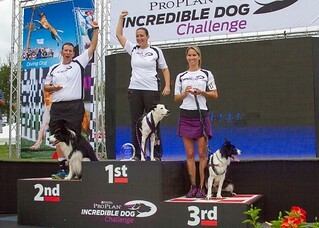 Funny enough, Kate and I won a national championship without our own field, without regular agility class or instruction. I realized that doing well sometimes has nothing to do with how much you practice the sport, but everything to do with how well you know each other. It sounds cocky now, and I never would have written it prior to the event, but I knew we would win. 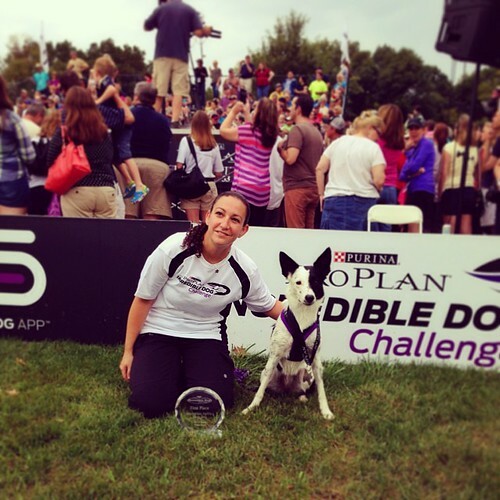 From the moment I spayed Kate, I knew that meant we must be 2013 PPPIDC National Champions. And maybe that’s how the universe works? Maybe Kate is ready to alight the world? Maybe we just got lucky? The other dogs there were all pretty special in their own right. Seriously, any single one could have won that event. I am probably the worst winner in that I actually feel guilty for winning, can’t we all be winners? On the other hand I feel an immense pride for Kate and for myself. It’s an almost indescribable mixture of emotion. Purina does an amazing job of putting on this event. At the regional, our armband was number 16. When setting my alarm, I like to align the time with an auspicious number so I selected 5:16am for the morning we left. I later discovered this was the 16th annual PPPIDC. (We were #18 armband for finals and I felt dismayed to break the 16’s) Purina (et all) has it down pat, everything went off incredibly smooth considering how many moving pieces go into running a “world” level event while also filming a television program during potentially unfavorable weather. 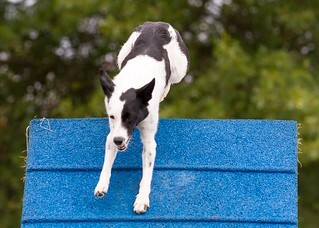 Everyone always wants to know how you get invited to do agility at the PPPIDC. It truly works out to who you know as they select people by asking local people they already know. I got in because of Gary. 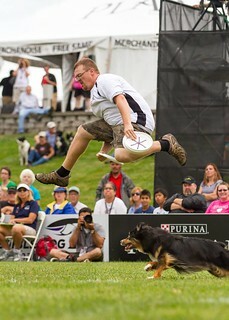 He and Bayer are the 2009 Flying Disc National Champions. Obviously, we won our way into Finals, but I’m very grateful for the opportunity. This event is pretty special, or at least Purina makes you feel that way. Huge thanks to Gary for the hook up. Regardless of what you think of the competition itself, there is one thing no one can deny. I look at my friends on the “world team” (for agility) and I hear them remark about the responsibility of being a team member. It’s almost as if we’re olympians, representing our country overseas. I am quite amused at the thought, but I’m sure it’s an intense and overwhelming feeling to have your national anthem played due to your performance with your beloved partner. Yet, this event holds a different level of responsibility in my mind. 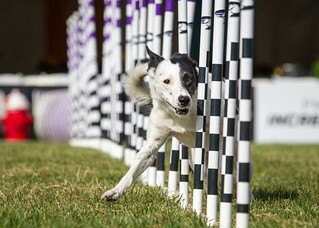 As the years progress, newcomers will answer the age old question, “how did you get started in agility?” with “I saw it on TV” more and more often. As we move indoors, to private facilities and fancy arenas, away from public parks, and large combined events, this primary source of agility to the public becomes pretty significant. If you are not cognizant of that while competing at the PPPIDC then you are an oblivious person. There are cameras (and people) every where. A boom camera literally dances around in front of your dog while she weaves – how do you proof for that?! They flew a go-pro on a remote controlled helicopter above the ring. I was even asked for my autograph! 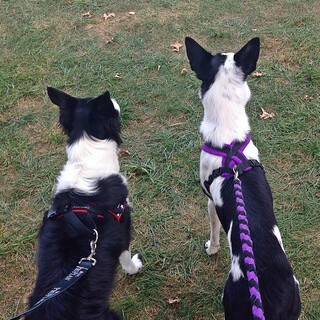 Grit and Kate stalking the dock dogs. 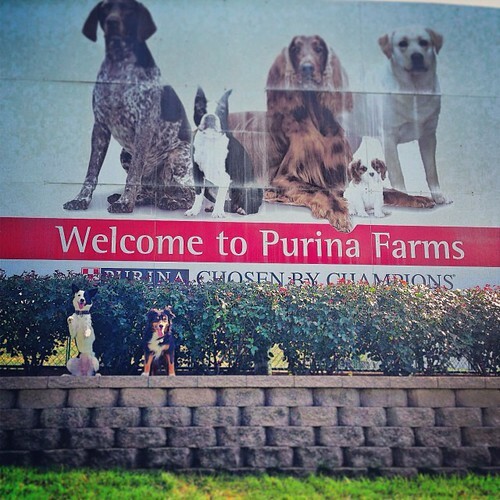 Purina takes this responsibility seriously and I truly felt every competitor did as well. That’s pretty fantastic if you think of it, certainly creates a delightful, competitive environment. 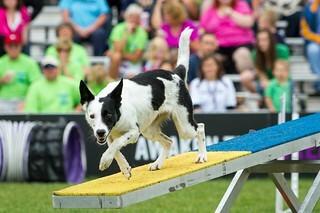 Thank you to my fellow agility competitors for being so wonderful. 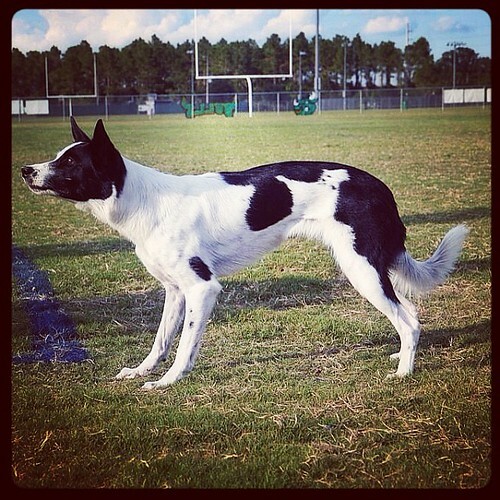 Truthfully, the best part about PPPIDC: competing in agility with my disc dog friends. Gosh, I can’t even. It’s really cool. I had about 10 seconds to absorb the fact that we won before I had a neck full of arms, my disc dog friends. That’s a feeling that I know there aren’t words. This picture cracks me up because the dogs are all totally staring at the pool. 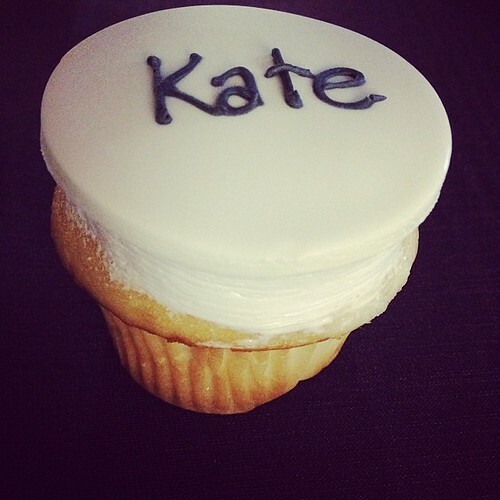 And it’s all because of Kate. If you’re just joining us, Kate has had quite a few brushes with the deadly side of life. Her jumping has been challenging to train as she prefers not to collect. And yes, she is special, thank you Mary Ellen, probably one of the most meaningful things that has ever been said to me, at a time when I needed to hear it. I wasn’t sure I used the practice day appropriately, as I didn’t “train in the ring” (anymore than I would at, say an AKC show) 😉 while a lot of the other competitors did train. We faulted in the first practice run, a small refusal, and ran clean the second time. It was fast and flawless, much like our winning run. I meant to practice my contacts but where I am right now… I felt getting Kate moving off the contacts was more important than getting her stopping criteria perfect. My strategy was to go clean in my first round so that I could go for broke in round 2. That worked pretty well except she missed a weave entry in the second round so we didn’t better our time. Our first run was good enough for the win. I think everyone has seen the winning run but I hope you enjoy it again. We were fortunate in that the turns on this course did not require collection to be fast. I was comfortable with allowing Kate to jump big and maintain speed, that’s her speciality afterall. 🙂 Kate was happy to oblige. She was tidy and quick and brilliant, all in her own way. PPPIDC = Kate’s version of Disney World. 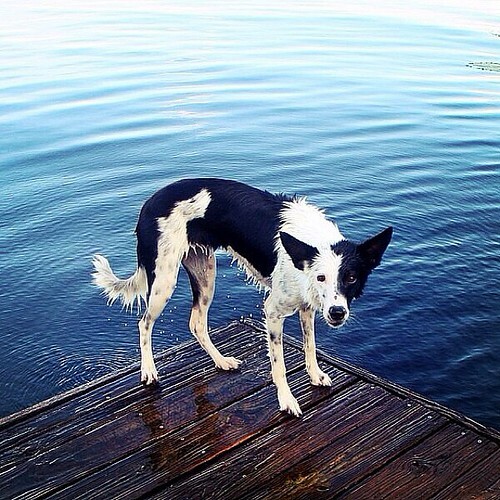 She was, literally, transfixed/obsessed with the dock diving pool. It was a challenge to keep her from charging up the stairs onto the stage at every chance she got. So, on Friday, I promised her if she made the podium, I’d let her jump. She got her jump. Such a good girl. I never wanted to win the 30-weave challenge and maybe that was our fatal flaw for that event. Kate posted the fastest seeding time on Friday, but in our first run Saturday, she came out of the poles at 28 and went into the tunnel. I tried to fix it, not sure if the team we were running against would fault, but as soon as I knew we lost, I pulled Kate out of the poles. No need to do all those weaves. I’m happy about that. She loves it, but her body certainly doesn’t need to do that. I would be remiss without mentioning that Bayer played fantastically for an almost 10 year old dog. Gary is very proud of his 4th place finish. 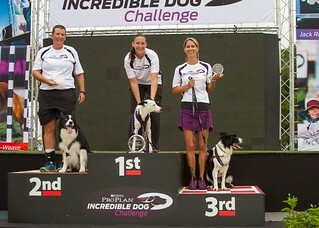 The team who won, Mona and Laika were incredible, with a drop-less round. The weekend before this Gary and Bayer finished 3rd in the Skyhoundz World Championships for Distance/Accuracy. So proud of the boys for continuing to make the podium. So tomorrow Kate and Java and I head to Tennessee for Cynosport World Games, aka USDAA nationals. I’m beyond excited to really compete, so many amazing teams are attending this year. 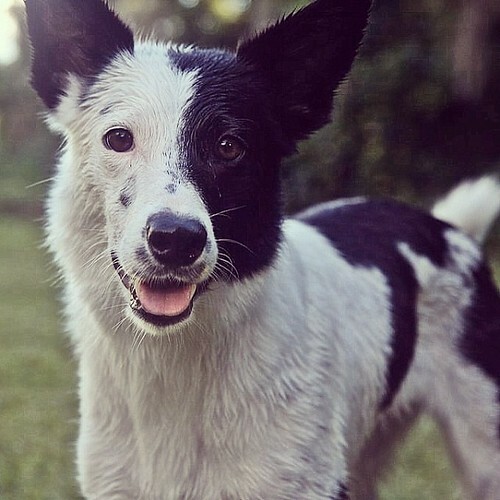 For Java, I have very little expectations, I know how she feels at large events with pressure and noise and people so I just hope for her that I can make it as easy as possible. For Kate, well, obviously my feelings are different. She has all the potential in the world. The truth, the honest truth, is that I just want to do our best. 2013 has shown me how fleeting it all is, these 5 short days of competition will be over in a blink and then it will just be me and Kate again, doing our thing. I will savor every second on that start line. My favorite part. *all PPPIDC photos by Steven Donahue, See Spot Run photography. Good luck in Tennessee! Will be watching the livestream as much as I can! Thanks Michelle, wish you were going to be there! I really thoroughly enjoyed the Kobe/ Mozart article and yours. The pride you have for Kate and all of the brilliant dogs is well-earned and I am proud for you. Lovely post and congrats!!! Thanks Nicole. Hope you are enjoying school. This was a wonderful post and so vivid and, oh yes, I love the picture of all the podium dogs looking at the pool. What a beautiful reminder that hey, THEY’RE DOGS, they love us and they love our pride in them, but they’d still probably rather be in the pool than on the podium! I am SO HAPPY for you and Kate! You both look very confident when you are running together, and that is a great place to be. Good luck in TN, we’ll be cheering for you from the PNW! Thanks Jo! I’m excited to be here. Such an awe inspiring field of competitors. We appreciate the cheers! Purina definitely puts on a great event! Congrats on a great win! It was a tough field of large dogs. No gimmes. Including the course!